Is overwhelmed and exhausted from trying to squeeze out every last cent of income from a property just to make ends meet? Has ever wished you could LEVERAGE yourself and your knowledge to generate large amounts of monthly cash flow? Feels like you’re spinning your wheels, trying every new trick you hear of to successfully invest in real estate? Then we are glad you found this page. Our names are Tom & Nick Karadza, and while many of you may know us from the different national media coverage we have gotten we want you to know the story of how we started. We got into real estate investing by purchasing a beat up home on the west side of Toronto. The plan was to fix it up and sell it for a profit. It seemed simple enough, and we did it. The whole experience could have been a reality show itself. It was like the many of the current real estate shows on HGTV except the profit at the end of the day wasn’t as large. Not very surprising since this was our first one! 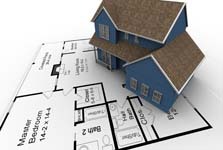 We would scout properties, coordinate contractors, list it for sale and hope to make a profit at the end of the day. When we took a step back to really analyze how things were going we learned that, after accounting for our time, it was more like we had created a second job than become real estate investors. A second job that didn’t pay all that well! So like we normally do when we are trying to implement new things we began doing some research. We studied many of the most successful investors we could find to see how they were able to have these vast real estate portfolios, owning houses, apartments, and office buildings. That’s when we figured out that they were doing something entirely different. Every month they would go to the bank and cash other people’s cheques… sometimes dozens of them, or even hundreds. Yes it sounded like a crime to us too except these cheques were willingly handed over to them and they were real. You see these investors were investing for cash flow. Instead of creating a job for themselves they had their investments producing income for them every single day. Bingo, we had found the blueprint we were looking for. So out we went looking at properties that would generate cash flow for us. But we quickly realized that these properties were very hard to come by. If fact, because of high prices, many of the properties we were looking at would have required us to chip in some money every month out of our pocket just to make ends meet. Not exactly the plan we had envisioned. That all changed one day when we visited a friend while he was at university. We were shocked at how much he was paying in rent, not for the entire house, but just for his ROOM. With a bit of quick mental math we were able to see that this property was generating waterfalls of cash flow for the owner. Right away we started looking at different properties around universities to find our own cash flow waterfall. Fast forward a few years and we had multiple properties under our belts generating anywhere from $800 to $1400 of positive cash flow every single month. We had created our own cash flow waterfalls. Now it all sounds simple, but this took us years of trial and error. When we first started investing in these properties no one had put it into a simple, repeatable system. We spent countless hours and thousands of dollars figuring out a SYSTEM that we used, and continue to use, to generate the maximum amount of profit from these properties with the least amount of work. When we were doing all the trial and error to get our properties to produce the maximum amount of cash flow possible, we saw other investor’s just focus on single tactics. No one was truly connecting the dots. It’s sad to see many investors continue to run on the ‘hamster wheel’, scurrying in circles, barely making ends meet on their properties. There are some great tricks that can be used, but they don’t work by themselves. You need a complete SYSTEM. And most importantly, a system that’s designed for an investment like yours. And this is exactly what we’re handing you in our Extreme Student Rental Cash Flow Blueprint. Leverage your current knowledge and expertise to manage the property while you sleep, travel, or vacation. Put these two together into our simple, proprietary BLUEPRINT system that can allow you to create an income stream of thousands of dollars per month. OK, before we go into sharing EXACTLY what you’ll learn without Extreme Student Rental Cash Flow Blueprint system here is some feedback from people who received only a small part of this information from us. Module 1: Simple Strategies to find the right property that is going to actually MAKE YOU MONEY by generating more demand than you thought possible. There is one simple rule to always remember with student rentals. It is that a vacant house doesn’t make you any money. But yet we see investors scooping up properties based on some really bad advice.These are properties that don’t match the key things that students are looking for. You need to begin with the end in mind. And if the end goal is extreme cash flow then certain criteria need to be met. The 3 location ‘must haves’ that every student wants. Why the rules that apply to non student properties NEED to be thrown out the window because they can actually work against you. Major differences between colleges and universities that impact cash flow. How to properly crunch the numbers to determine if the property is truly a waterfall of cash flow. The absolute best ways to protect yourself from any city bylaw changes. The top 3 mistakes we will never make again which caused us to be blinded by the numbers and not realize the return we had anticipated. The secret sauce to student rental cash flow – How to find, uncover, and benefit from untapped or hidden profit potential in properties. This was a GAME CHANGER for us. The number 1 advertising strategy that you is absolutely mandatory for every property we buy. How to automatically generate leads without having to pick up the phone. 4 simple steps to collect money on the spot. How we used this system to have 37 people waiting outside to see our property in the middle of winter. The top 7 things to avoid at all costs when advertising your property. Actual phone and email scripts that we use to generate demand before the property is even seen. Our strategy for signing leases and collecting money on one showing every single time. How to collect rent every single month even if there is no one living in the property. The reason why rent payment issues almost never come up in our properties. The 4 principles to use when dealing with students so that they see things your way. The secret to protecting your property and never having a worry. How to ensure that your property is not being used for parties, hangouts, or anything else you don`t want. The SYSTEM we use to eliminate the most common phone calls property owners receive. How to structure your leases so that you have an even greater hands off approach. The 5 things to offer your students to make them think you are a hero and keep them referring friends. How we manage, track , and analyze our profits when dealing with multiple cash flow sources. We will put all this together for you into a system that works over and over, and grows more and more profitable year after year. In our world, S.Y.S.T.E.M. stands for ‘Save Your Self Time, and Money.’ The system is the solution to streamlining these investments and keeping your waterfall flowing. Principles to use to guarantee new students are happy and their parents are even happier. How to save money and time by never having to even change the locks on your home. A simple strategy to have the TENANTS pay for renovations YOU want. 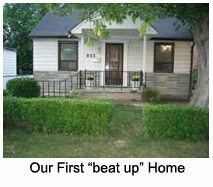 Why students don`t respect properties and how to make sure that never happens to you. How to have one group of students leave and the new group move in without ever having to visit the property. Our number 1 strategy to ensure we are always ahead of other investors in any area. 3 tactics to ensure that your students will rave about you even though you did absolutely no extra work. As you learn effective student rental strategies you’ll definitely have some questions that are laser focused on exactly what you want to do. That is why we’ve dedicated an extra session to covering any questions that you have. Our own experience has taught us that ‘little hinges swing big doors’. Sometimes you just have that one extra detail that is just right for you can make all the difference. You may have questions about a property, getting hoards of students on your front lawn, or maximizing the cash flow you have coming in. Whatever it is we will answer them all. You will be able to send in your questions before this session and we will tackle them all for you! Sometimes it is even more valuable to hear the questions others are asking to learn from them as well. If you have joined us in the past you know that we hold nothing back in these sessions so it is truly ‘no holds barred’. You will join us to go over each module described here is much more detail. On these calls we will reveal the entire system that we have created and used to have our student rental properties generating thousands of dollars a month, each and every month while running multiple businesses, taking weeks of vacation at a time, and spending quality time with our family. This isn’t some boring investment ‘theory’. We are going to great lengths to make sure we put as much real life, current day information into this course as possible. Not just that, but the information will be laid out step by step so that you can put it into action and have it working for you. While we love doing the calls with everyone on the line, we are also including audio CDs as well, for those of you who prefer to learn in a different way. We know many of our clients are very busy and prefer CDs to listen to in the car while driving or at their leisure. All the calls will be professionally recorded, and these CDs will play in your home stereo, car, computer, or any CD player. To make sure you get the absolute most from this course you will receive a digital audio file IMMEDIATELY following each call. The day after our call you will receive private instructions on how to get an MP3 copy of it. This way you don`t have to wait for your CDs to be able to use the information right away. We know that momentum is a great thing and this will allow you to get moving quicker for greater results. We have learned from all the programs that we have invested in that it can be hard to jot down notes and come back to a specific part of a CD to listen to it again. So we have taken great value in having transcripts to follow along with so that we can dog-ear important pages, and add any notes. That way we can come back to it and get the exact information we found most valuable for us specifically. The first time we did this for one of our programs the feedback was tremendous. We were told it allowed people to highlight key points and get them all together in a ‘cheat sheet’ format. It acted as a mini action guide for each call. We were actually surprised at the raving reviews we got about these. So although it adds a lot to our plate to put them together we wanted to make sure we did so you could enjoy the same benefits that students of our other programs have. A lease agreement for a student rental is not the most complicated legal document you will ever set your eyes on but there are some key things that need to be included. So we will give you a copy of the agreements we use. We have different ones for different circumstances but we will give you them all so you are fully prepared to get into action. We know that sometimes when you are getting started there are times when an opportunity to have a couple questions answered would be invaluable. We have been in your shoes and knew what we would be willing to pay for some sort of guidance. To make sure you have absolutely everything you need you will get two private 30-minute implementation calls with us. These are calls that we can use to go over absolutely any details you want. You make the agenda. Yes, this is a HUGE time commitment for us but our goal is to make you succeed and we know how important these can be. If you booked private consultations with us alone they would be worth more than the entire investment for this WHOLE SYSTEM. As you can see from the success stories on this page our systems work for investors just like you. It’s making people tens of thousands of extra dollars a year. We could literally charge thousands of dollars for this information, which we’ve carefully crafted over the past several years – and spent tens of thousands of our own money learning the hard way. But we want to get this system in your hands. Why? Because from working one on one with hundreds of investors and making them successful we know that it changes lives. Plus, we’ll even let you make monthly payments to get this in your hands. We have NEVER been offered such an incredible value for such a low investment. That was VERY good advice. We can tell you that the strategies you’ll learn with this system are the EXACT same ones we still consistently use to generate tens of thousands of dollars of income a month. You see if you’re a beginner, you are in a very sweet spot. It’s actually BETTER that you learn this information now, BEFORE your start investing. This way you don’t waste money or time on strategies that won’t work, you will learn a PROVEN system that you can model, and you will learn the SIMPLE and FAST ways to do things. If you are already an experienced investor then you know how valuable this type of information can be. It can literally pay for itself a hundred times over. Not just financially but in the time savings as well. Our Personal "100% Happy" Guarantee! If for whatever reason you’re not 100% thrilled with what you’re going to learning – we want to send you your money back. If you’re not happy, we’re not happy! So if for any reason whatsoever the Online Marketing Foundations program doesn’t meet your expectations, just fax or email our office within 60 days and let us know. That’s our promise to you! We sincerely want to help as many people as we can! So are you ready to create your own cash flow waterfall with student rental properties? Just click on the secure order link below, so we can set you up with the Extreme Student Rental Cash Blueprint System right away! Yes! 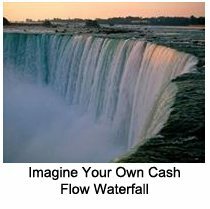 I’m ready to create my very own cash flow waterfall! 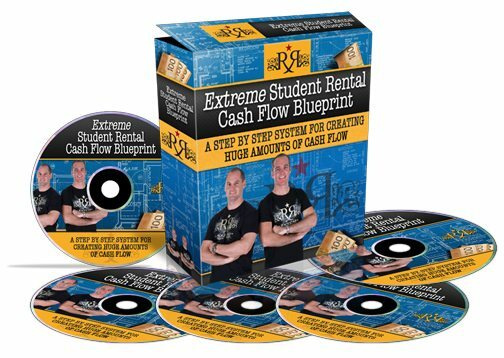 I can’t wait to get started with Extreme Student Rental Cash Flow Blueprint System right away! 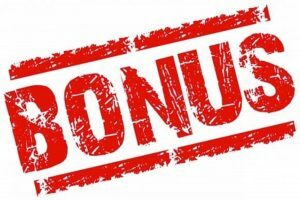 Not only that, but you get these bonuses as an extra gift to you! I understand that this program comes with an iron-clad money back guarantee. 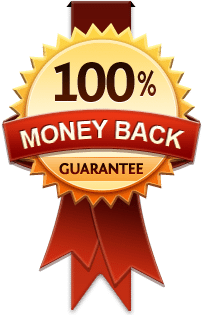 If I am not 100% happy, I may get my money back within 60 days, no reason needed! My investment is risk-free! 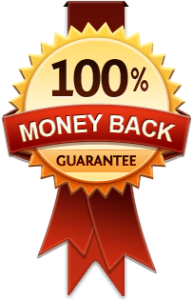 You can be assured that this online transaction is 100% secure and after your information is received you will get an electronic notification of your order and instructions for the upcoming calls within just a few minutes. Remember, we stand behind the information that we’re offering you. If you decide this program is not for you, just let us know by emailing our office (support@rockstarinnercircle.com) within 60 days of your purchase. No guilt trips or hard feelings. Get this great deal now, and make up your mind later. To Your Life on Your Terms! P.S. Remember, you’re buying the Extreme Student Rental Cash Flow Blueprint System with absolutely NO RISK to you. You’ve got nothing to lose, so reserve your copy now.